Jackson Edition of the Works of John Wesley. This is the most economical complete edition of Wesley’s works. It was originally 14 volumes, but is now often sold in 7 volumes that each have two of the original volumes in one. When I entered this, the entire set was only $56 on Amazon.com. The Bicentennial Edition of the Works of John Wesley. This is the best critical edition currently available of John Wesley’s work. The series has not been completed, but the volumes contained the sermons and all of Wesley’s Journals have been completed. These are much more expensive (roughly $50 each) but are well worth the money if you are doing serious work with Wesley’s writings. Knight III, Henry H., Eight Life-Enriching Practices of United Methodists (United Methodist Studies) . Knight’s book offers a helpful introduction to the basic practices of Wesleyan discipleship, often known as the means of grace. This book is accessible and would be beneficial to lay and clergy alike. This was my first introduction to any facet of John Wesley, Wesleyan theology, or Methodist distinctives. I went through this workbook as a part of an adult class at McFarlin United Methodist Church in Norman, OK when I was a sophomore in college. For me, this is a classic! It has a brief introduction to John Wesley’s life, followed by chapters on prayer, Scripture, communion, fasting, and Christian accountability. This book is also very accessible, I would recommend it for anyone interested in Christian practices or disciplines. Collins, Kenneth J., A Real Christian: The Life of John Wesley This is the first biography of Wesley that I read in seminary. A Real Christian is a concise and easy to read introduction to John Wesley’s life and to the key moments in his growth and development as a Christian as well as the key moments in the growth of early Methodism. If you are looking for one biography to read that provides a good introduction to John Wesley, I would recommend this one. Rack, Henry D., Reasonable Enthusiast: John Wesley and the Rise of Methodism Rack’s biography is the most comprehensive, readable, and up to date biography of John Wesley that has been written in the last fifty years. This book provides much more detail about both Wesley’s life, the growth of the Methodist movement, and the context that surrounded Methodism. 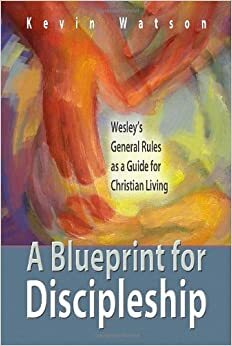 This is a great resource for someone who wants to gain a deeper understanding of Wesley’s life and ministry. Maddox, Randy, Responsible Grace: John Wesley’s Practical Theology (Kingswood Series) This book had an enormous influence on me when I read it in seminary. Maddox argues that grace is the key to Wesley’s theology because it makes us able to respond to God’s grace, or response-able. In making us able to respond, God’s grace also make us responsible again for our relationship with God. I highly recommend it to anyone who is looking for an in depth analysis of Wesley’s theology. The main concern of this book is that it is written for an academic audience, so if you are looking for something that is a bit easier read, this may not be the right book. Heitzenrater, Richard P., Wesley and the People Called Methodists This is a standard text for United Methodist History classes in seminary. 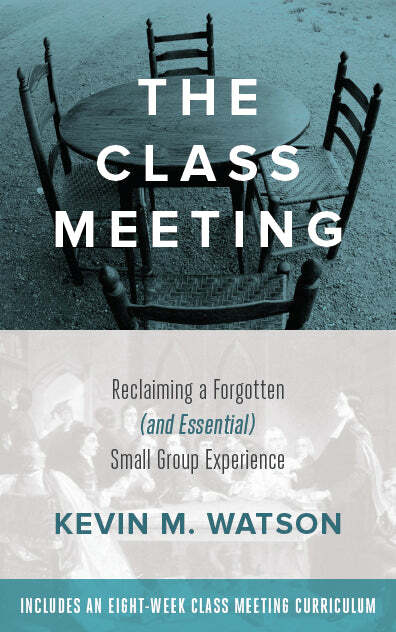 This book offers an excellent introduction to the History of the early Methodists and John Wesley’s role in organizing and framing the Methodist movement. Heitzenrater carefully weaves the entire cast of characters into the narrative, bringing in names and voices that are sometimes left out due to a preoccupation with John Wesley himself. This is an excellent book, and one that I think anyone interested in Methodist History would enjoy. Hempton, David, Methodism: Empire of the Spirit This is another recent contribution to Methodist Studies that has been well received. Hempton seeks to understand early Methodism in a more international and broader context than it has often been viewed through. Hempton is a beautiful writer, making this book accessible and a pleasure to read. And the fact that it is now available in paperback is even better news! And, if you don’t mind my mentioning it, there are some links and articles here: Wesley & Methodism. The complete text of Wesley and Sanctification by Harald Lindström (1947) can be found here: Wesley and Sanctification. Numerous other materials documenting the teachings of many leaders in the Holiness Movement can be found here: Some Old Books from My Library. I have an interest in historic catechism. My question is whether how Wesley integrated catechesis into his structure of ministry. I assume he was ministering to people largely “catechized” as Anglicans originally. But as the Methodist movement expanded, was a system of catechesis ever adopted or specific catechism created by Wesley? I am doing a sermon series based on the book “Responsible Grace” and wondering if you know where I might get some different reviews written on the book? I have read some of it, but confess I am not a dedicated reader (especially books of such length), and would really appreciate some others thoughts.